← The 2013 Holiday Ornament Contest!!! 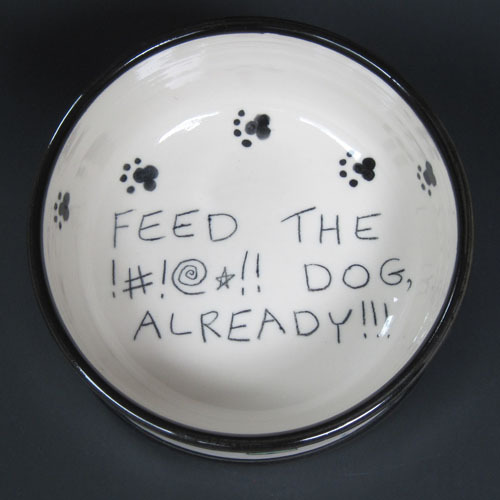 If you’re looking for an amazing gift for your favorite pooch this year, consider having us create a custom porcelain dog dish! 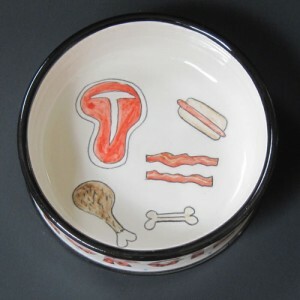 I just added four new designs to the “Custom Items” section of my online store. 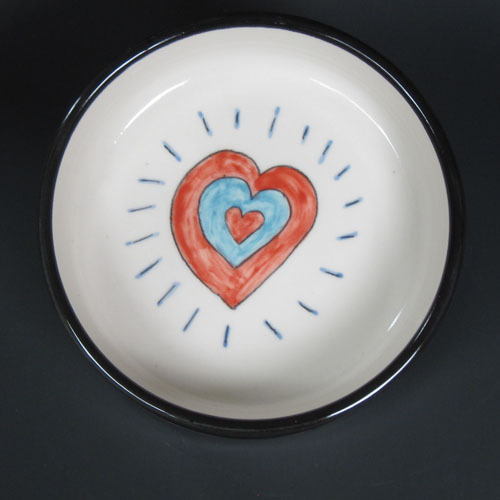 Here’s how it works: there are two bowl sizes: 5.5 inch diameter ($33.00) and 7.5 inch diameter ($44.00). 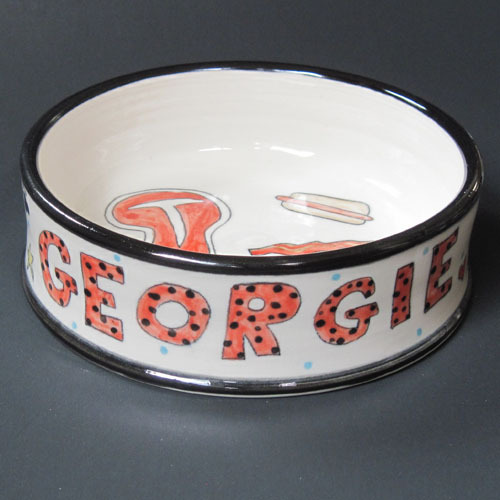 You can pick one of four designs for the inside of the bowl, and there’s a drop-down menu that allows you to choose one of four colors (blue, green, red and yellow) for your dog’s name. It’s pretty easy to follow and you’ll need to allow 2 – 4 weeks for delivery. We’ve got just three more firings to go this year, so just about anything ordered in November will get to you with time to spare for the holidays. 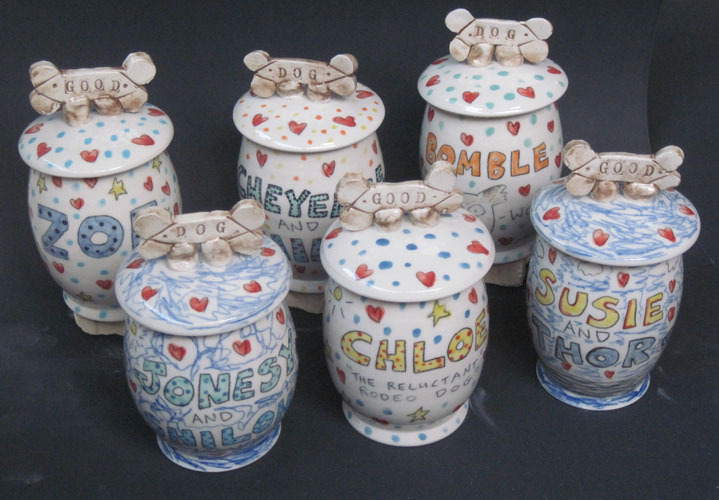 Here are some pics of the four designs, plus a nice grouping of milk bone jars that we made last year for a customer who really wowed his family and friends with this awesome collection of dog treat containers ($48.00 each). This entry was posted in Custom Orders and tagged custom dog bowls, milk bone jars. Bookmark the permalink.